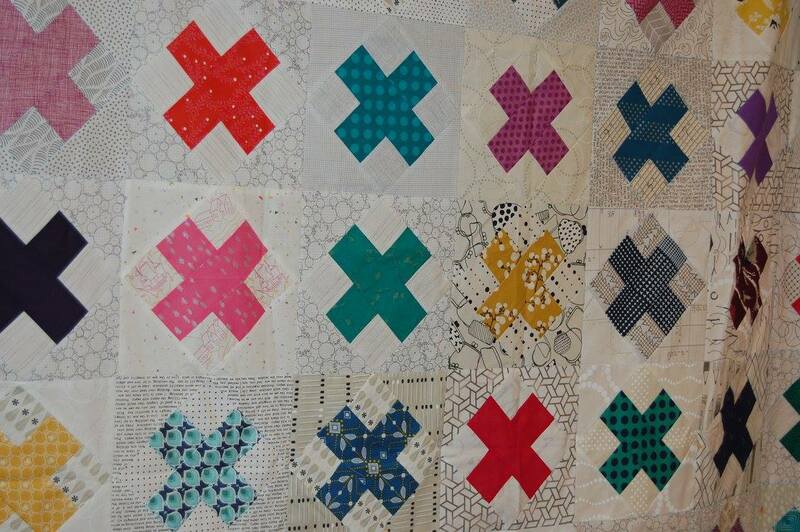 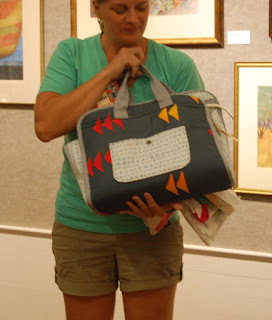 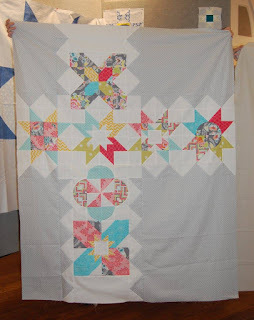 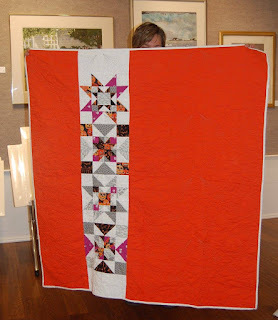 What do you like most about modern quilting? You don't have to worry so much about matching points! 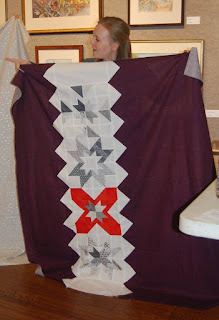 Ellen shared the progress on our Guild's entry for the QuiltCon Charity Quilt. 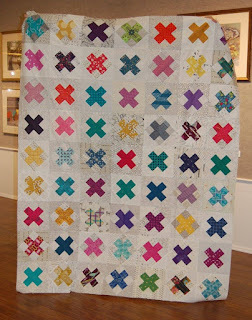 This is the (gorgeous!!) 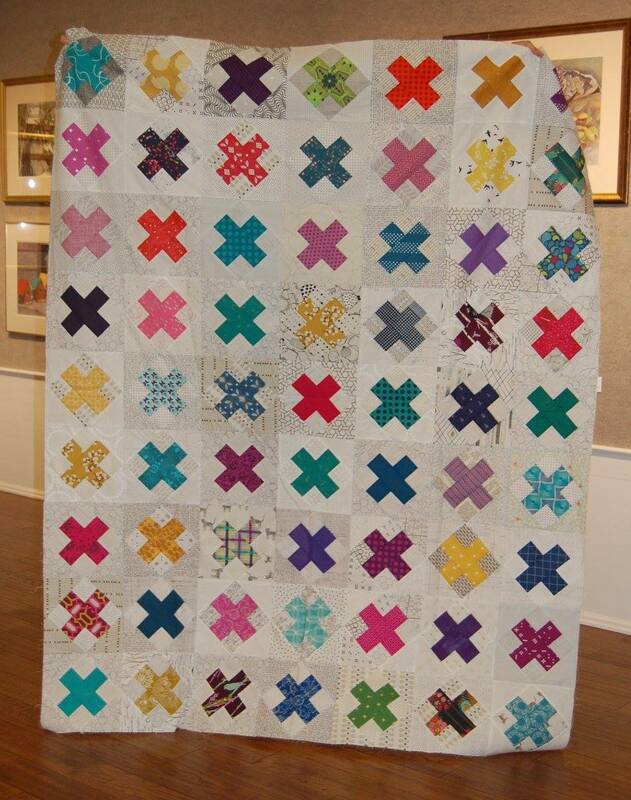 center of the quilt. 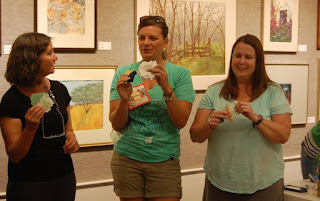 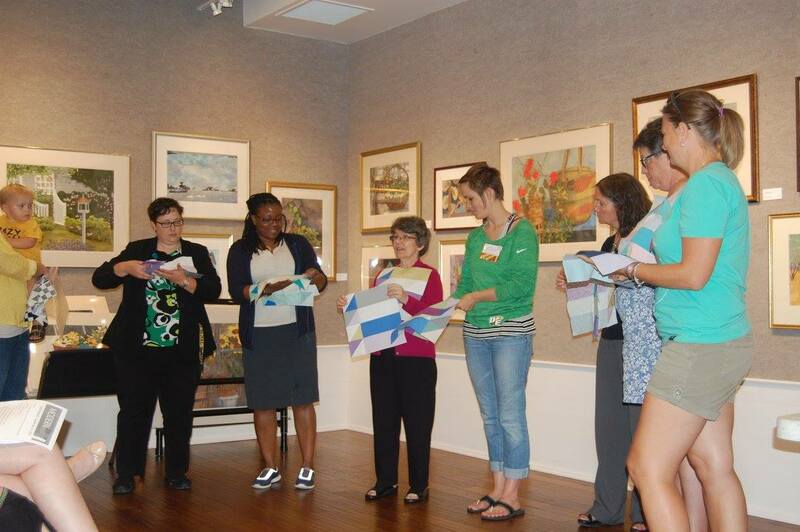 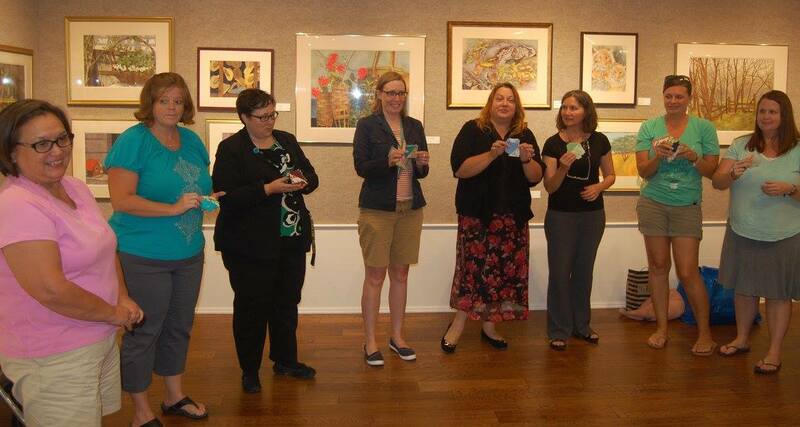 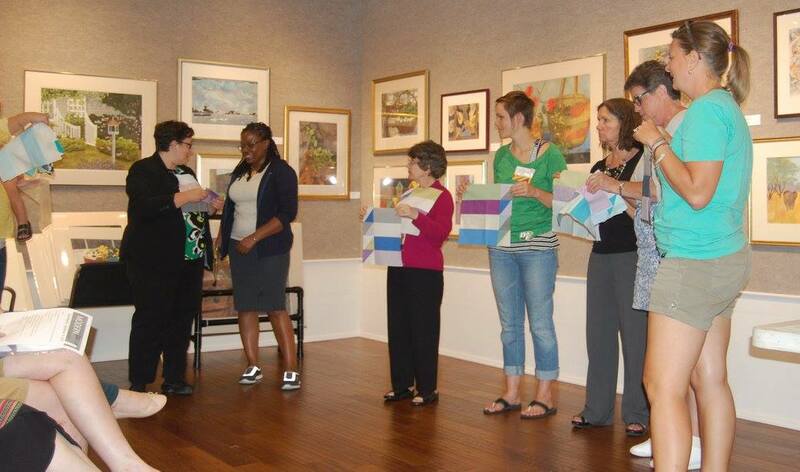 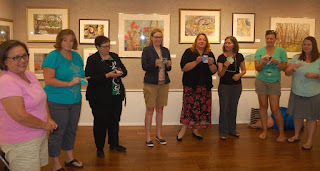 Members of our guild participated in AnneMarie Chaney's workshop, Patchwork Auditions in August. Here are some of the finished blocks and quilts! 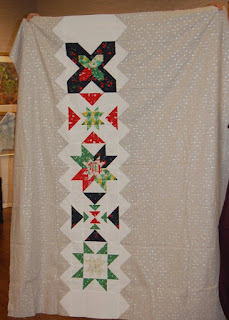 Wendy finished her quilt - she chose to not add the flying geese to either side of the block column. 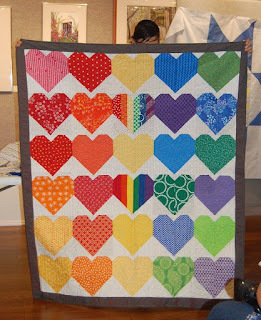 Holly added three extra blocks to her quilt top. 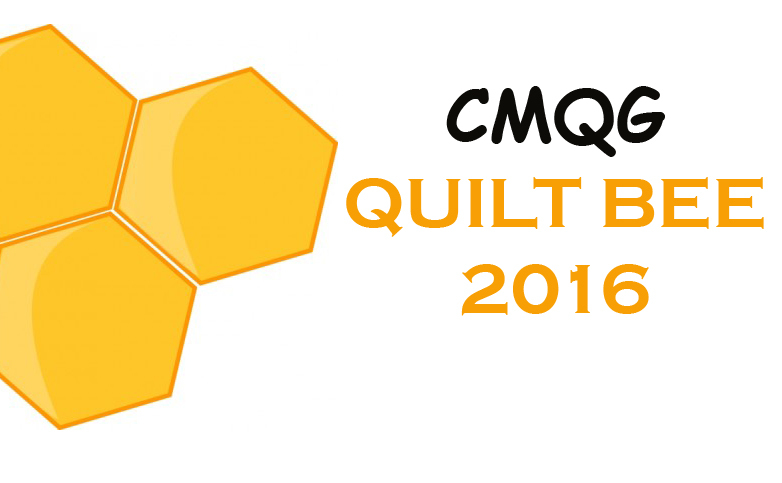 Final Bee Block for 2016! Would you like to be on the Guild Board for 2017? 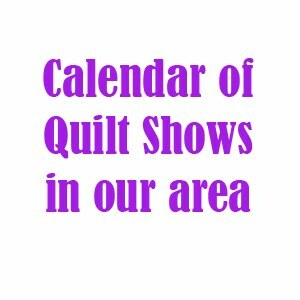 If so, let Ellen or Janine know. 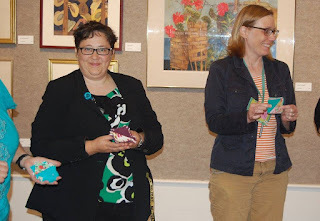 The Board members positions are: president, secretary, treasurer, member at large, swap committee chair, education committee chair and charity committee chair. 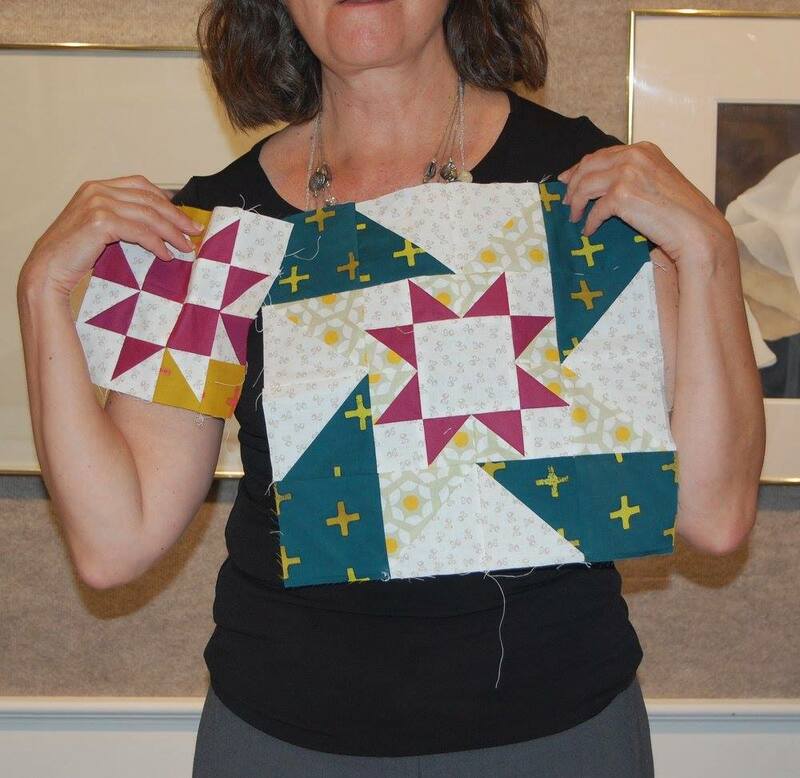 Rachel made a mini pirate hook quilt for our friend Brooke. 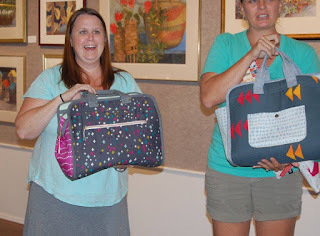 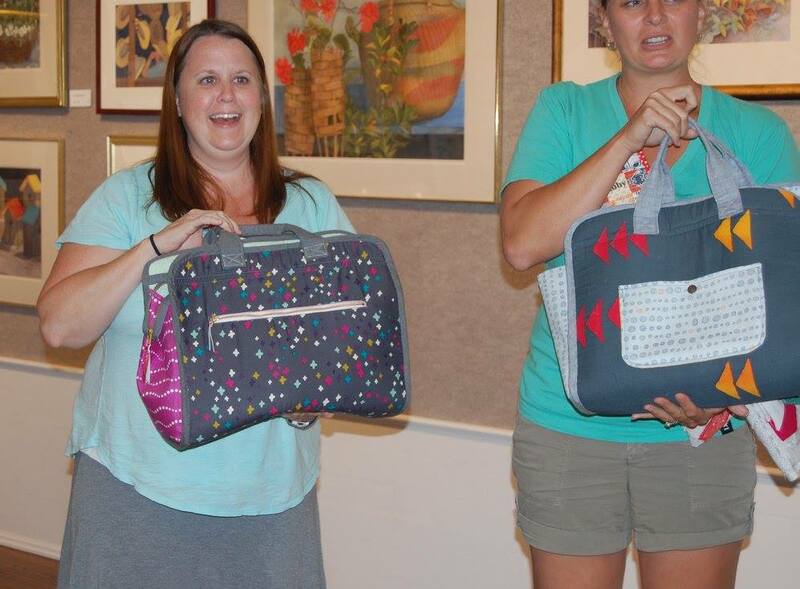 Abby and Amy made Noodlehead Maker's Tote at a retreat. Abby finished her quilt from the bee blocks she received in 2015 - the blocks are called raspberry kiss. 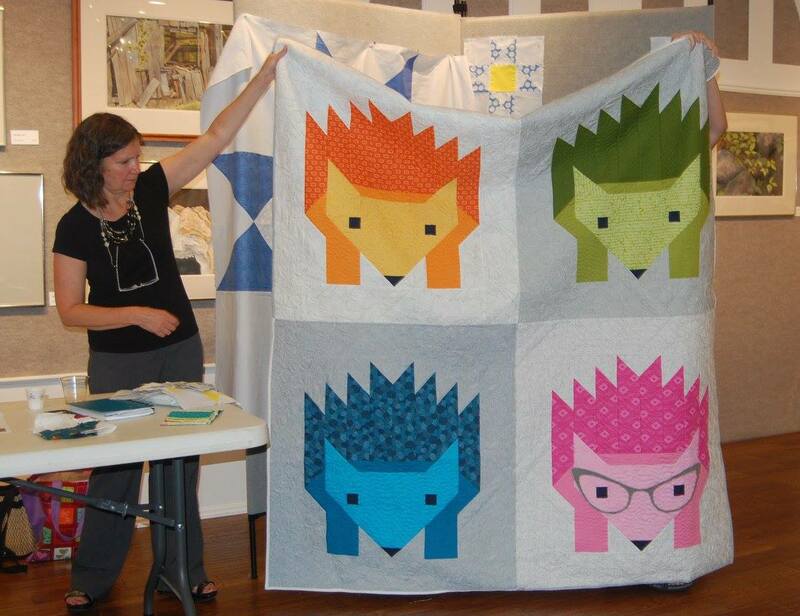 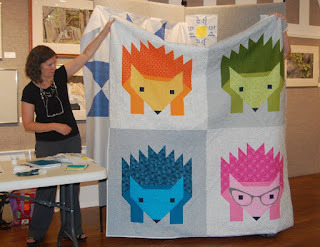 Holly's hedgehog quilt! 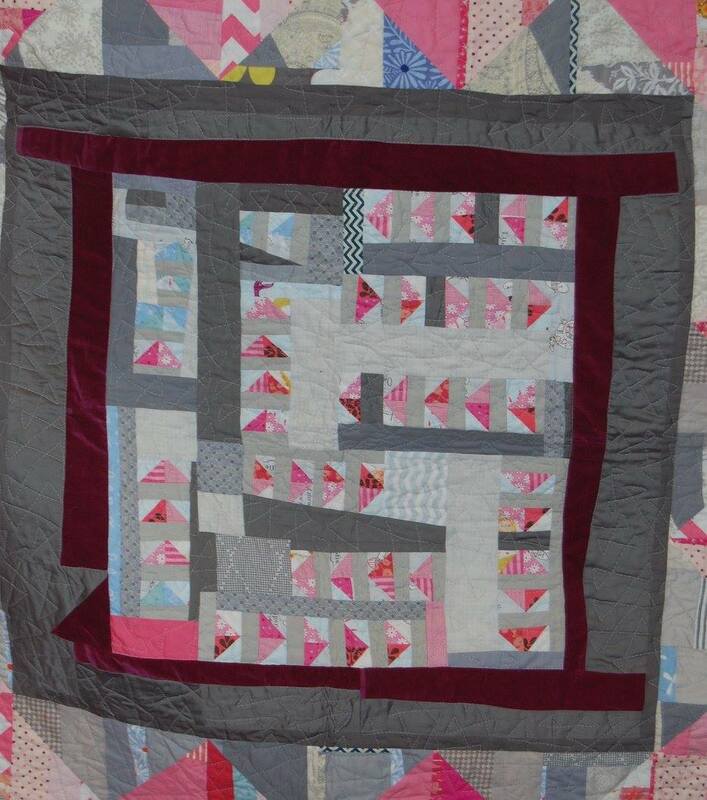 It has a minky back. 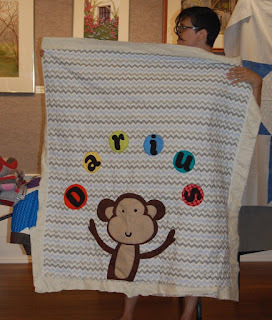 Dana made this scrappy "Mad Farmer" quilt. 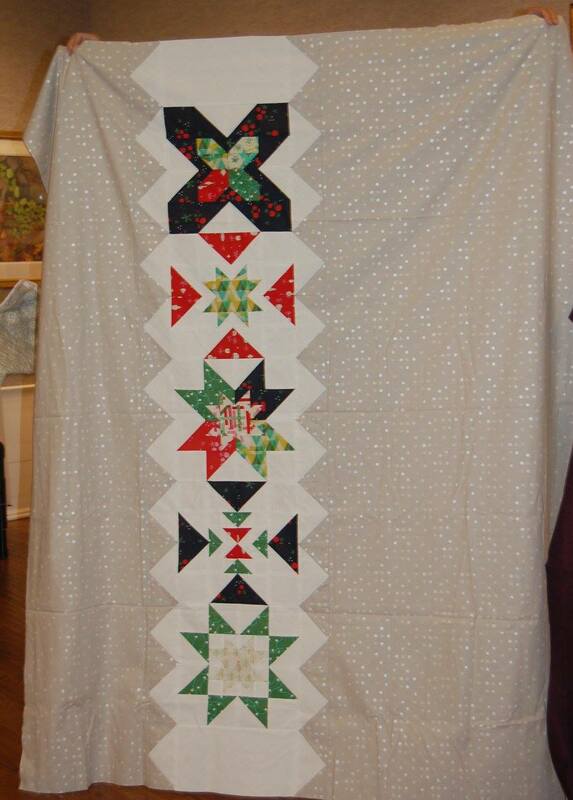 It has a velvet center (pictured above) from a dress her mom made her when she was young. Dana showed off a quilt that will be sent to Florida for the Pulse attack. 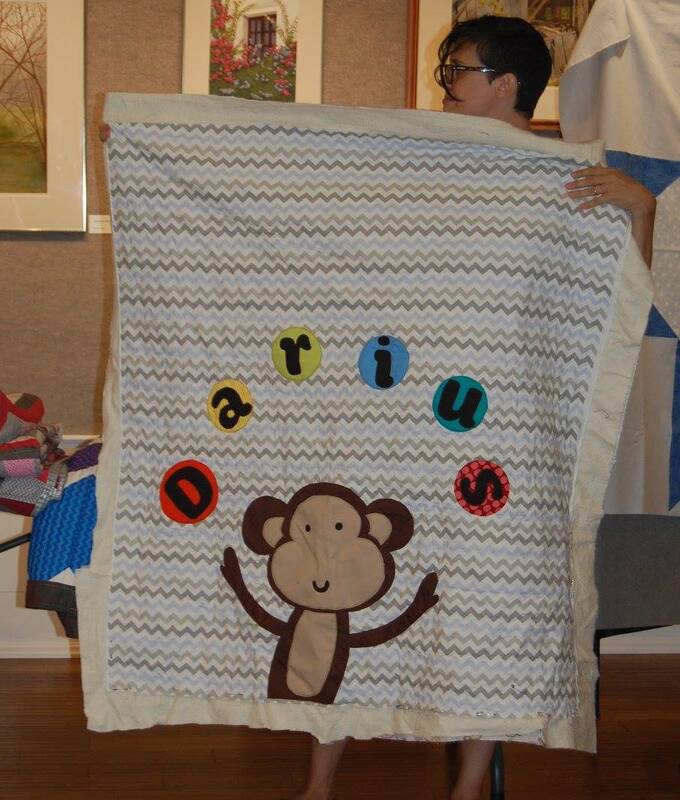 A monkey quilt Dana made. 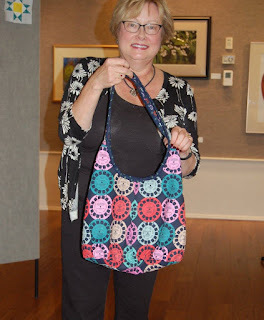 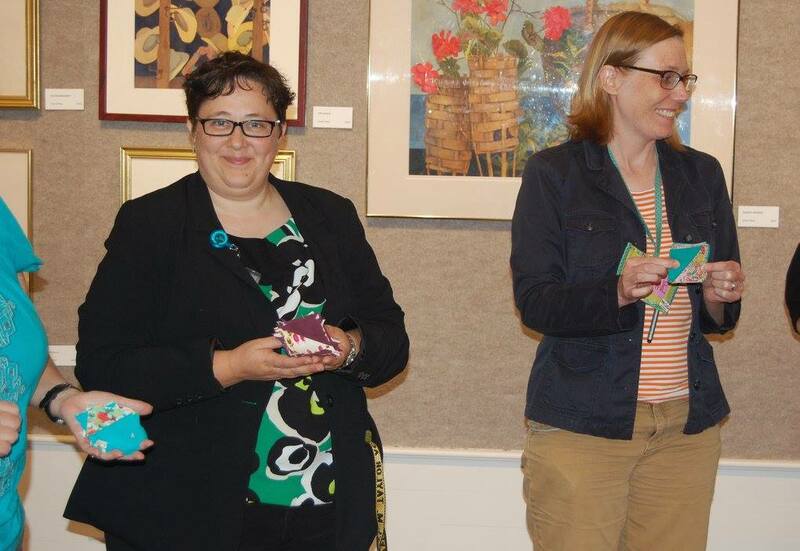 Malinda, a visitor from the Warren County Quilt Guild, showed off this reversible bowl she made. 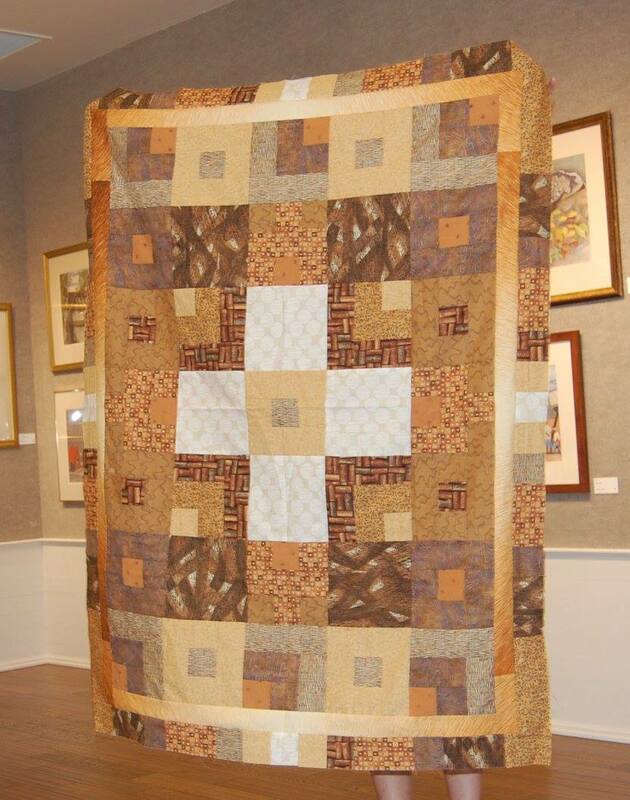 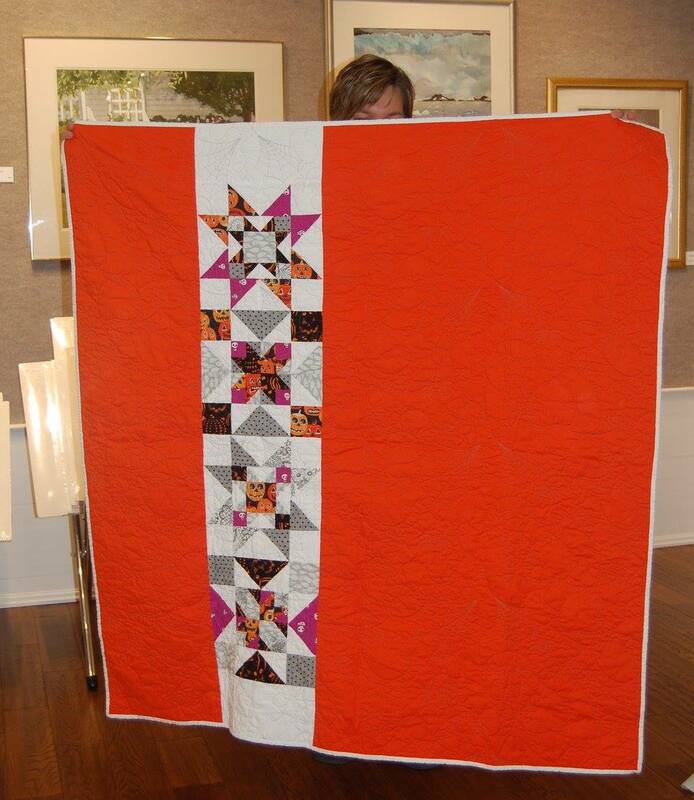 This year the National Modern Quilt is asking guilds to create charity quilts that play with scale. 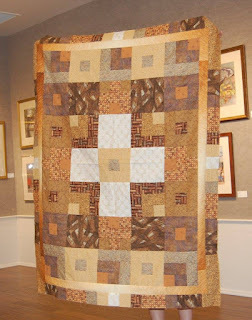 To learn more about the challenge, and see lots of inspiration for quilts that play with scale, click here. 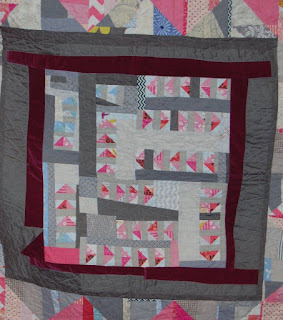 For our scale challenge, we’re asking you to experiment with scale quilt design. Create 3-4 or more different ideas for quilts that play with scale – you can sketch them on paper, make them on EQ7, or whatever process works for you. 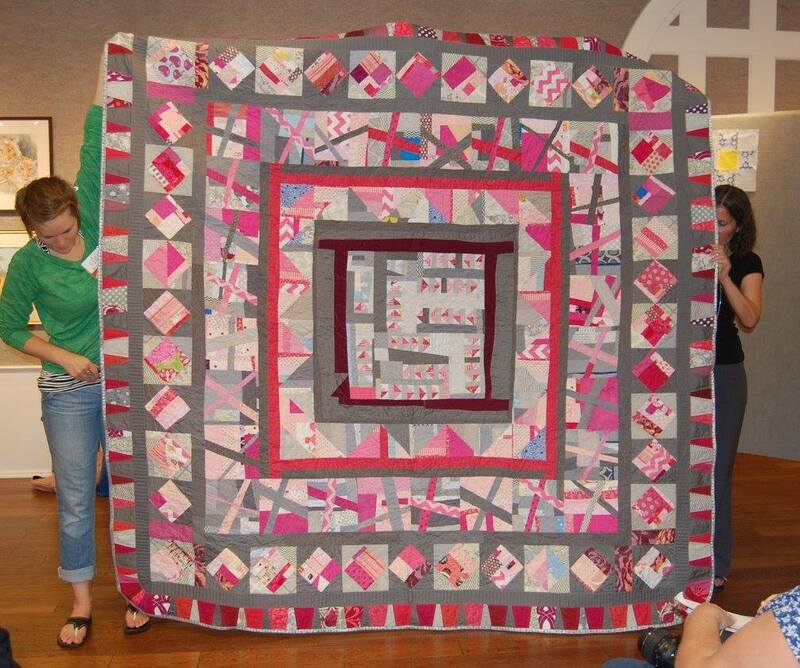 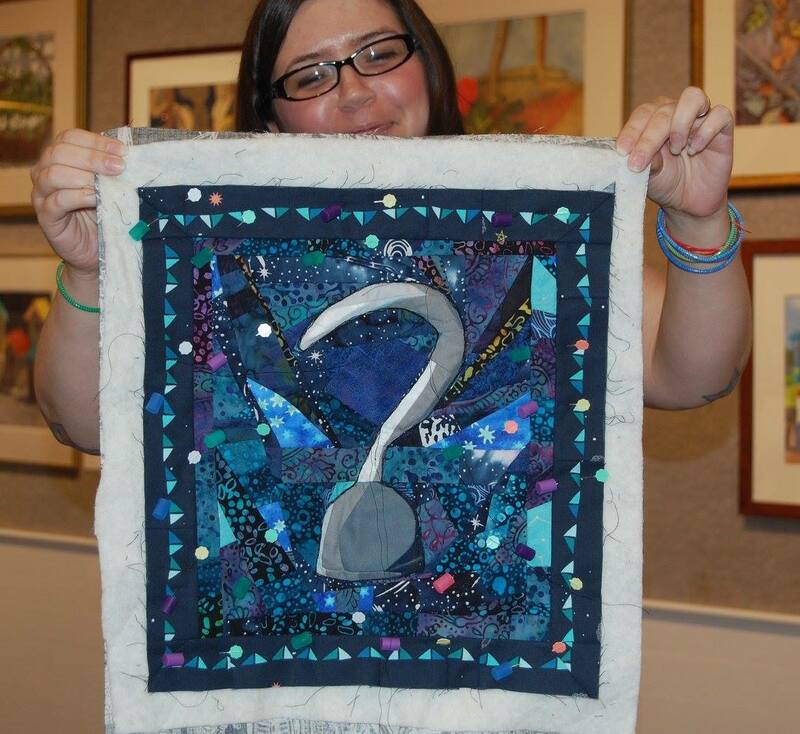 Enlarge it: How does making a quilt block or design really, really big change the feeling? 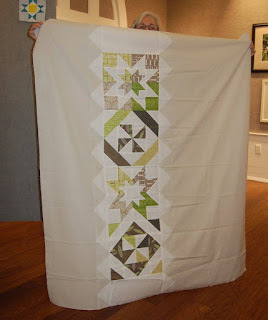 Make it Tiny: Small can be interesting too! 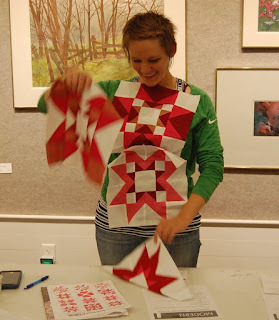 Layout: Use a non-traditional layout to create a secondary design that plays with scale. 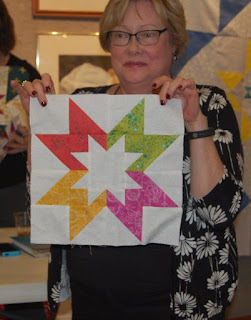 You can download Dana's Scale presentation here.